Cast iron sign. White letters on black background. 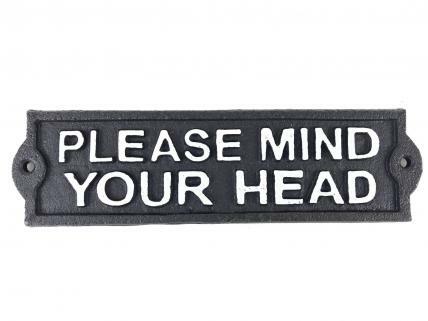 "Please mind your head"